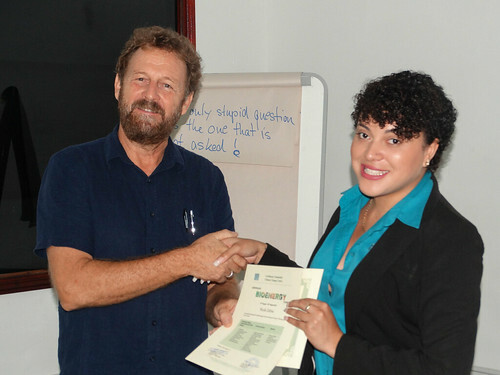 According to Belize policy targets, the country aims at increasing its share of renewable energy. 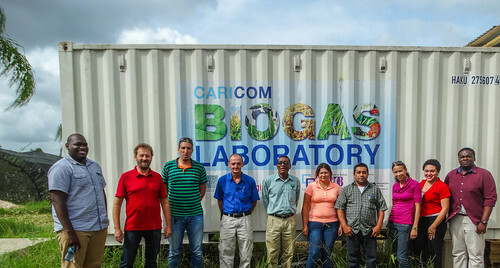 Till now Bioenergy, especially Biogas, is not utilized on industrial scales in Belize. 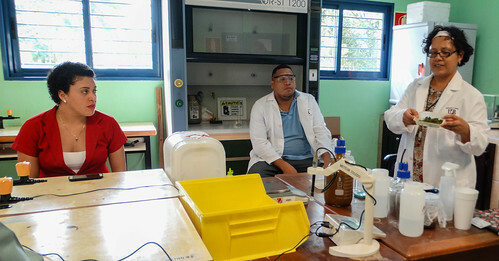 To help achieve this goal and build capacity in this sector, the Caribbean Community Climate Change Centre (CCCCC) in cooperation with GIZ REETA had offered a free of charge BIOENERGY Course at its training Centre in the country’s capital, Belmopan and at the Bio Energy Laboratory which is housed at the University of Belize. 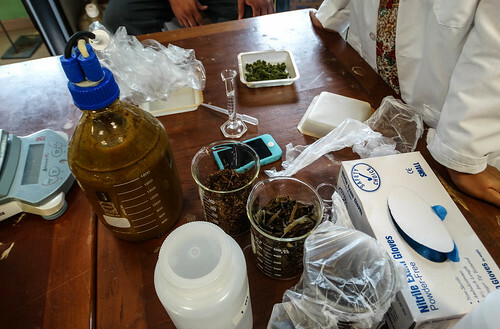 Bioenergy as a renewable energy resource offers many advantages: It can be converted into various forms of secondary and final energy. Biomass, the primary energy source, can be transformed into solid, liquid and gaseous energy carriers. The combustion of these energy carriers can produce heat, cold, electricity, mechanical power or a combination of these. Even better than this, bioenergy is storable, so it can be converted right at the time when energy is needed to balance the differences between energy supply and demand. Dr. Kenrick Leslie, Director of the CCCCC and Dr. Ulric Trotz , Deputy Director of the CCCCC both welcomed the participants and thanked GIZ for their contribution. 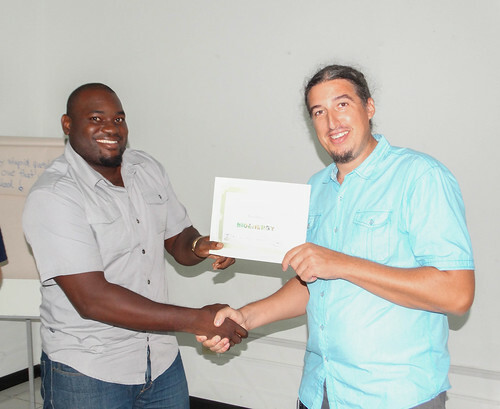 They also thanked Henrik Personn, the integrated expert from CIM/GIZ, for his efforts especially in the Capacity Building and Waste to Energy Sector in Belize. 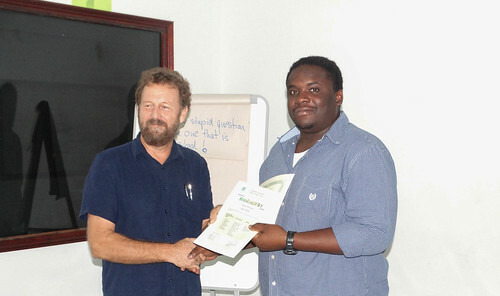 The course was directed by Tobias Sengfelder of GoGreen Ltd. 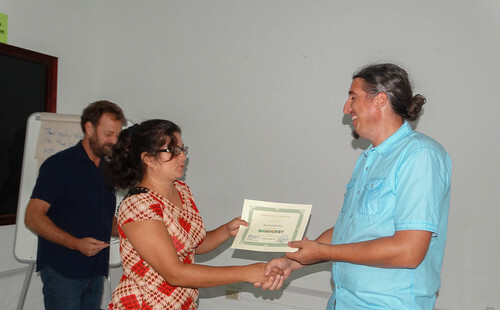 Participation came from the Belize Solid Waste Management Authority, BELTRAIDE, Belmopan Comprehensive High School, the University of Belize, ITVET and the Spanish Lookout Power Plant. 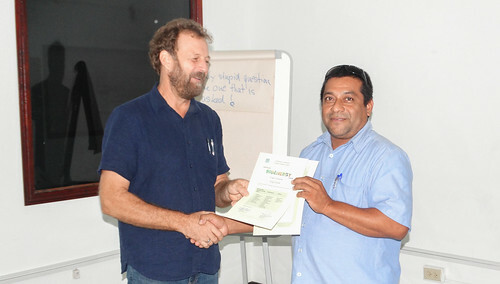 Participants successfully completed the course and received a certificate that demonstrated their ability to plan, prepare and conduct Bioenergy training seminars and implement bioenergy projects to high standards. These seminars provided an excellent opportunity for professional development in the renewable energy field, while ensuring the sustainable use of knowledge. 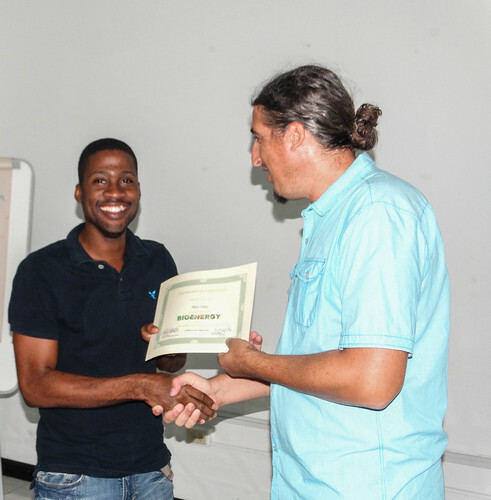 These seminars provided an excellent opportunity for professional development in the renewable energy field, while also ensuring the sustainable use of knowledge. 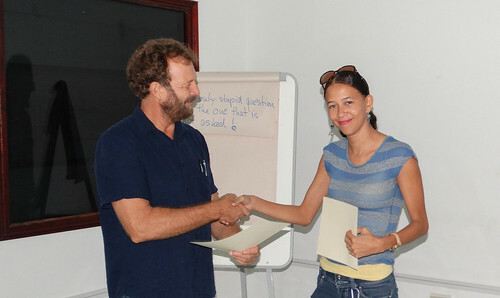 Participants who successfully completed the course, in addition to receiving a certificate, are now able to plan, prepare and conduct Bioenergy training and implement bioenergy projects to high standards. Photos of the seminar can be downloaded at the Centre’s Flickr page. By caribbeanclimate in 5Cs in the News, Uncategorized on August 26, 2016 .